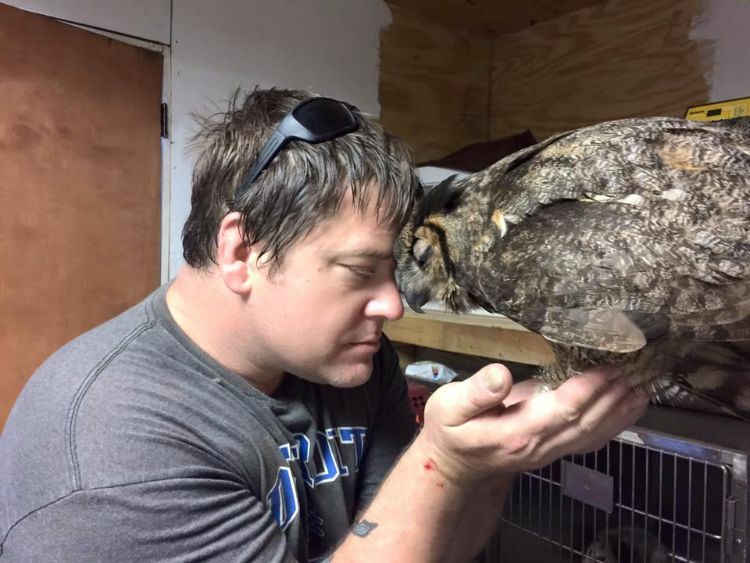 Gigi, a great horned owl, was near death when she arrived at Wild at Heart Rescue in Vancleave, Mississippi. 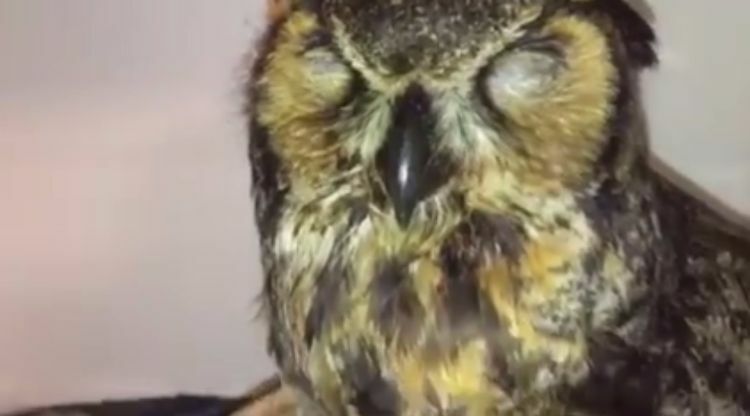 She had head trauma from a probable car accident, parasites and aspergillosis, a kind of owl pneumonia. It was a sad sight as you can see from the pictures below. Initially, the rescue's director, Missy Dubuisson, wasn't sure Gigi would even make it. Luckily, things took a quick turn. 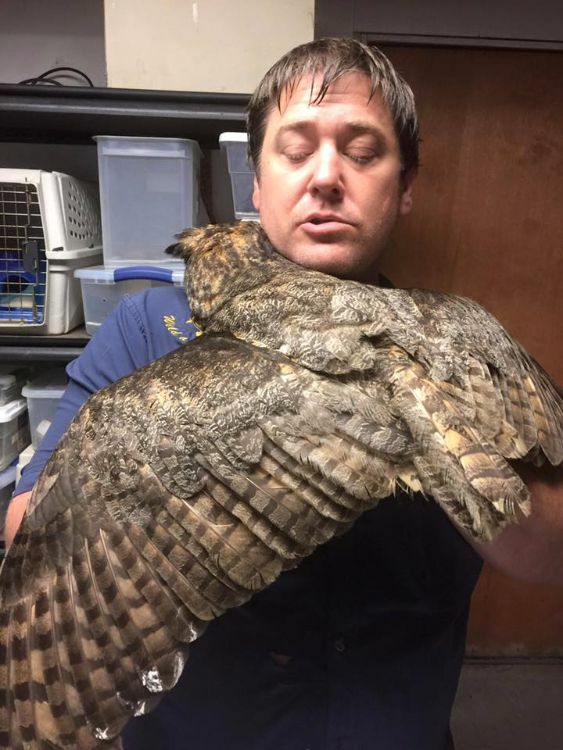 During treatment, the sick owl lost a pound, which is anywhere from a third to half of a great horned owl's weight. 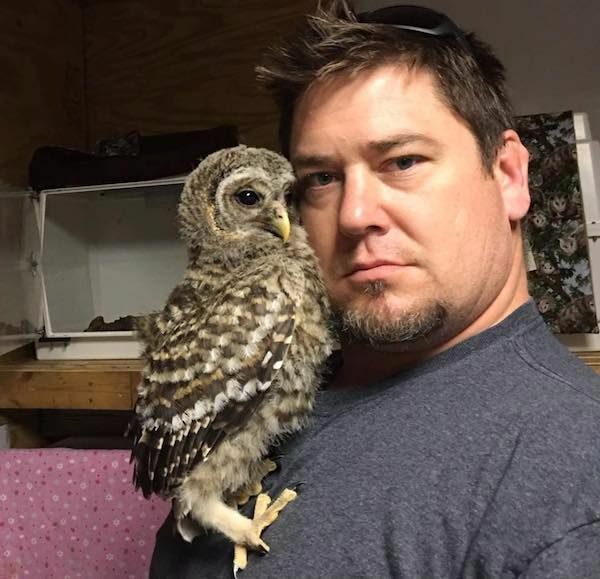 Rescue president Doug Pojeky had a reputation for working with birds of prey. He carefully nursed Gigi back to health, hand-feeding her until she could eat on her own. In return, Gigi became very attached to Pojeky. One photo shows him touching heads affectionately with her. 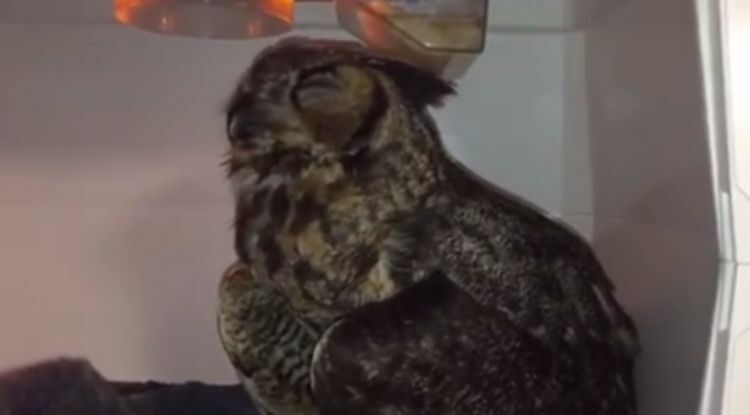 Pojeky didn't realize how grateful his owl charge was until he returned from an extended trip to Michigan. 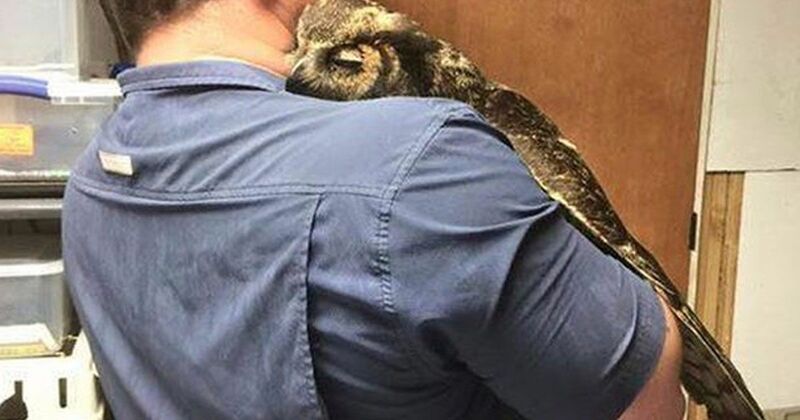 During an exam on June 4, 2016, she approached him, put her head on his shoulder, closed her eyes and enfolded him in a hug with wings outspread. Pojeky was especially moved because it reminded him of an incident from his childhood. 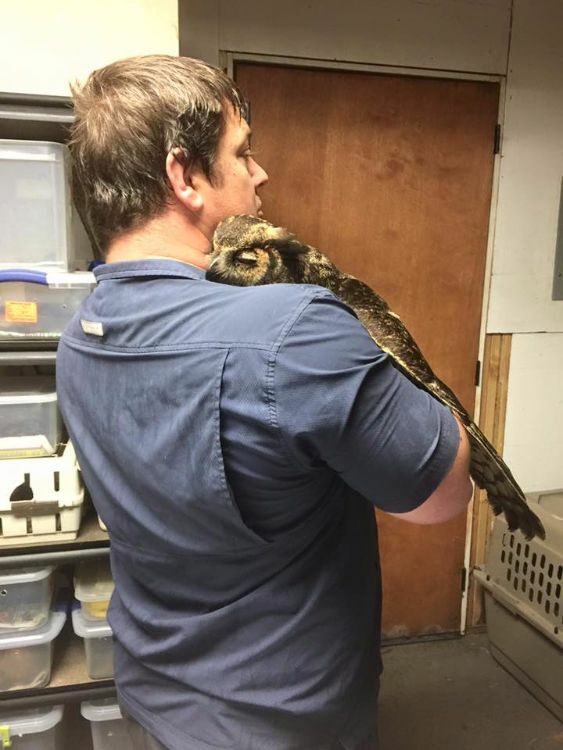 Pojeky's father used to observe an owl in the family barn that others rarely saw. On the day his father died, the owl appeared near the farmhouse once more and then flew away into the woods, never to be seen again. 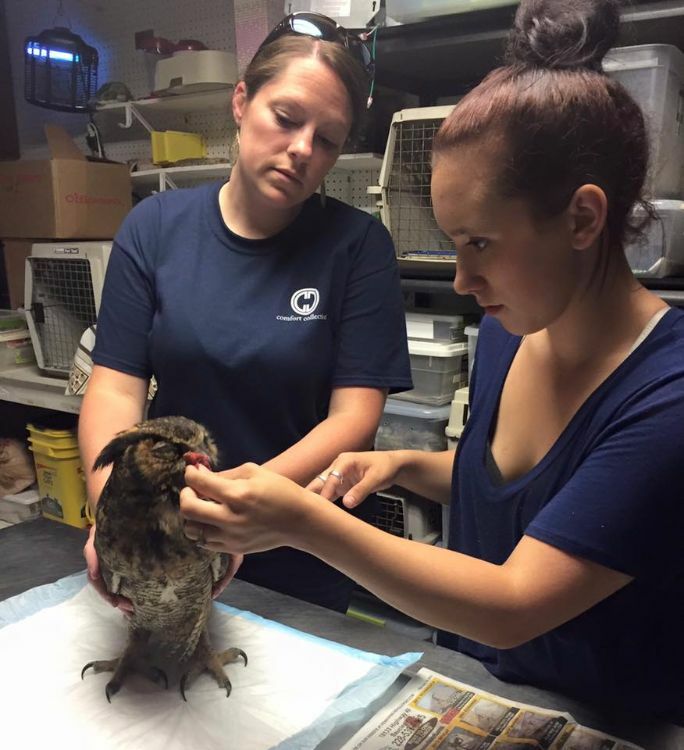 Wild at Heart Rescue continues to take in new patients. They hope to release Gigi once she is fully recovered. Please SHARE this story with your friends.